After the Volkswagen diesel scandal was unearthed back in 2015, the fuel has been under increasing scrutiny, subject to bans, and additional taxes in some cities. The tide turned very quickly on diesel cars, so quickly that Audi were considering a diesel supercar only a handful of years ago. The forgotten Audi R8 V12 TDi Le Mans concept car was to be the first of its kind. Volkswagen said on Wednesday it had struck a deal with Microsoft to cooperate on cloud computing in China and the United States, as part of its drive to offer connected vehicle services across the globe. 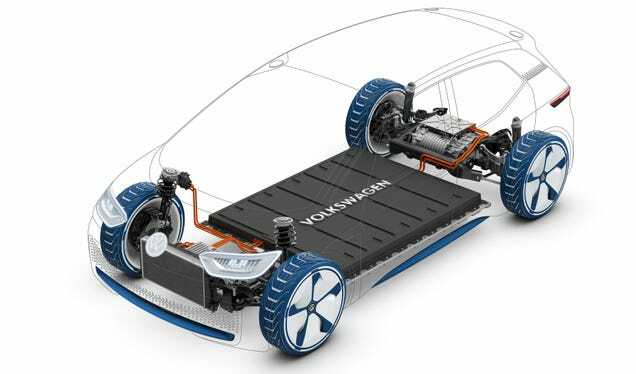 Volkswagen will use its Automotive Cloud as the core of its vehicle and service data operations for its new ID electric cars which are due to hit showrooms in 2020, the carmaker said. Volkswagen on Wednesday praised its cooperation with Ford and took pains to highlight its rival's autonomous vehicles technology, as both carmakers explore deepening their partnership to include self-driving cars. VW and Ford have agreed to develop a range of commercial vehicles together and explored cooperating on electric cars. VW has however so far resisted agreeing to invest in Ford's autonomous vehicle unit. One of the hurdles of widespread EV ownership is the lack of charging infrastructure. Charging station just aren’t numerous or readily accessible enough in some regions for people to feel secure about buying an electric car. Which is why I very much like Volkswagen’s idea of mobile charging stations.